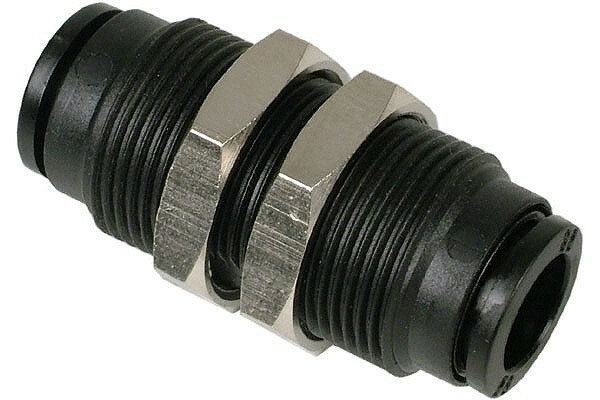 2xPlug in/Push In Quick connector ma de from nickel coated brass for hoses with an outer diameter of 10mm. This is the ideal solution to duct tubing to the outside of the case. Width approx. 38mm and M20 thread.